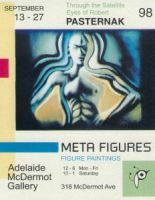 The Poster Project was held in conjunction with the Meta Figures show I had in Winnipeg 1998. It existed as a satellite project that would link Canada in a metaphoric way to the human body as in its mind, body and spirit. It also served as a way for me to start spreading my wings outside of Winnipeg - my birth city. In August I Headed to Toronto, the mind of the country. This is a major centre for ideas and design. 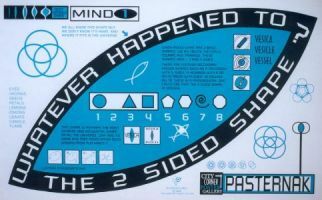 This is where I wanted to place as seeds the idea 'Whatever Happened To The 2-Sided Shape"'and get this into the minds of people so that others, such as designers, would unconsciously start to use this shape more in their work. These 2-color silk-screened posters measured 15 x 24 in. and were stapled anywhere and everywhere in the downtown area. 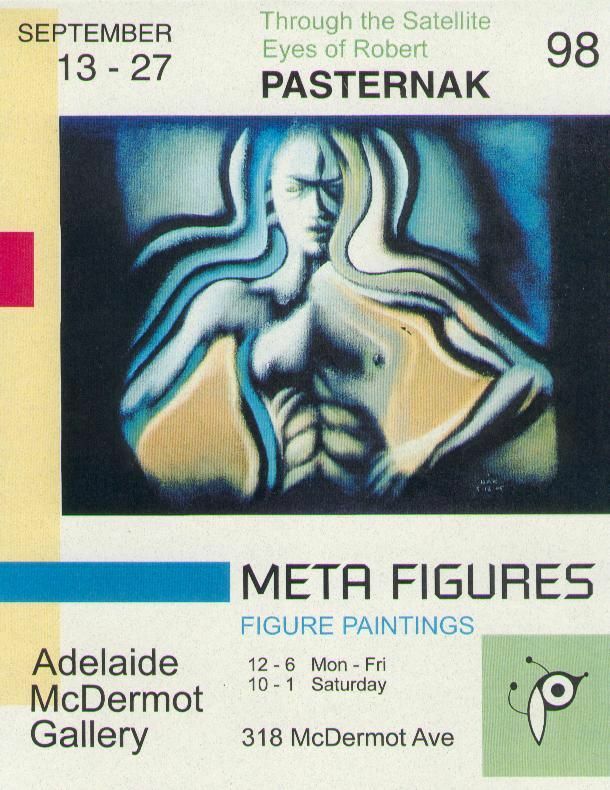 In September I had the Meta Figures show In Winnipeg. This is the centre and navel not only of Canada but of North America. 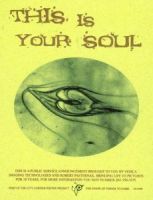 This is where my body is and my years of growing deep roots and of grounding. There was a terriffic opening reception, then little fanfare followed. In wondering about this, someone told me that I was the only one that really needed to see the exhibit at this time, as its real purpose was to serve as a healing and a way for me to view a larger aspect of my Self. In October I went to Vancouver, the spiritual centre of Canada with a tiny 4 1/4 x 5 1/2 in. 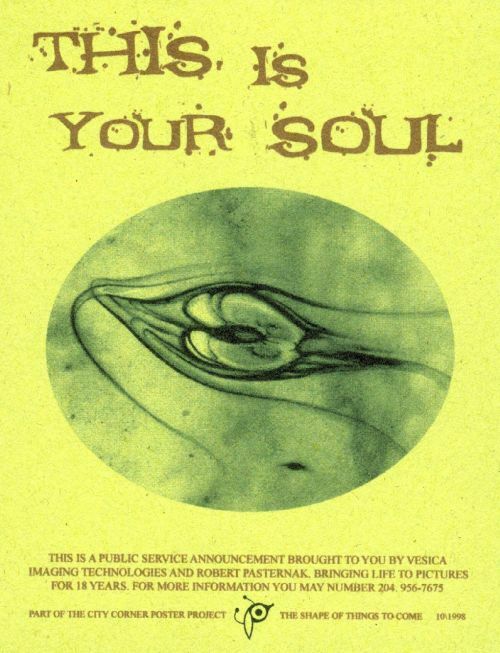 poster called 'This Is Your Soul'. When I started going around with my staple gun, it felt weird.....I couldn't put these posters up the same way I had done in Toronto. So I abandoned the staple gun and just started putting them in trees and bushes, in newspapers ( a few times randomly ending up in the death section ), under ashtrays in outdoor cafes and amongst the apples in fruit stands. It felt much better.